Handicap Diver is here to celebrate all the amazing, outgoing special needs divers out there! working together with our staff we are able to help teach both mentally and physically disabled people to scuba dive safely and enjoy the ocean with us! Sometimes all it takes is a helping hand to reach out and change someones life. This is what excites us and we are constantly inspired by the amazingly brave members of our groups! It can be very intimidating the first time you dive under the waves, but with the right scuba gear, it is perfectly safe for everyone to enjoy. We are here to educate and share our stories of success with other fun loving scuba divers. 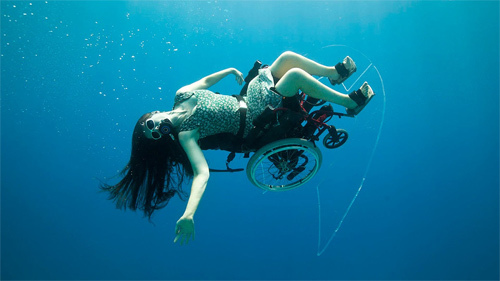 This site is all about scuba diving and using it as a way to help the disabled live a full, rich life. There is nothing quite like seeing the smile on any divers face when they finish their first under water adventure! Our group is made up of several experienced rehabilitation co-ordinators that volunteer their time and energy to provide these thrilling scuba experiences at no charge to those passionate disabled individuals who are determined to get the most out of life. Their can-do attitude is a constant reminder to take every day as a gift and get the most out of life any chance you can! Our headquarters is located in Hamburg, Germany, but of course there is not much amazing scuba diving to be had around there! so we operate for half the year in the amazing waters of the Caribbean. Not a bad gig at all if we don’t say so ourselves. This blog is designed to promote a positive lifestyle and inspire others to try scuba diving if it is something they have been interested in but never had the guts to try out! all we can say is: DO IT! you will not be disappointed!